Check out all that you wanted to know about Philip DeFranco, the famous YouTuber; his birthday, his family and personal life, his girlfriends, fun trivia facts and more. Philip DeFranco is a popular American YouTuber who rose to fame with his YouTube channel named ‘sxephil’ (stylized as sXePhil) which boasts of over 5.9 million subscribers! Along with his primary channel where he talks about the news and pop culture in a hilariously and ironic manner, he also runs other channels on the video sharing platform. Having joined YouTube over a decade ago in 2006, DeFranco’s rise to fame has been slow and steady. 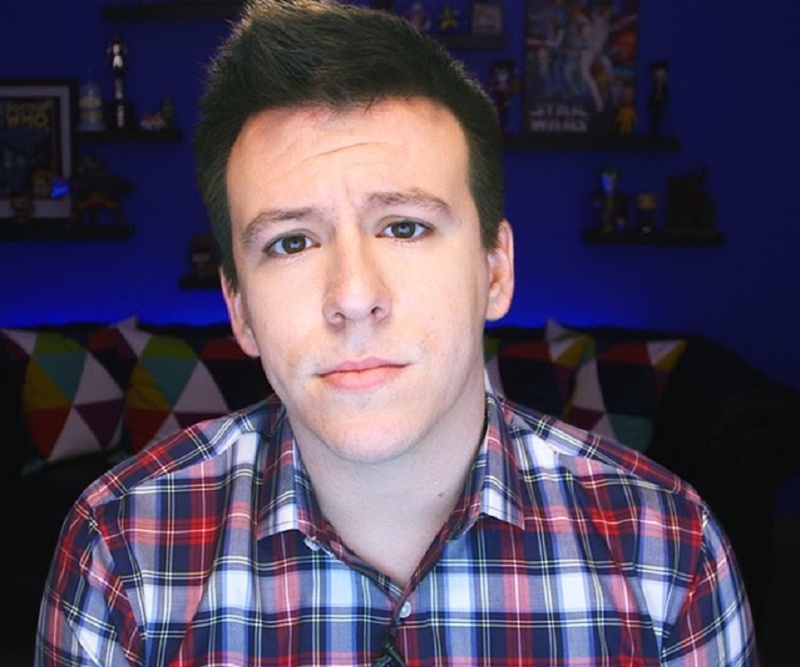 Four days a week, he hosts the hugely popular ‘The Philip DeFranco Show’ in which he discusses issues like current events, politics, pop culture, and celebrity gossip, and offers his sarcastic commentary on them. The show has been so popular that it has received sponsorships from Netflix, Ting, and State Farm. DeFranco’s personal vlogging channel (with over one million subscribers) and his family channel featuring his wife and son (with 315k followers) are also extremely popular. The famous social media personality is also the recipient of several awards and honors. 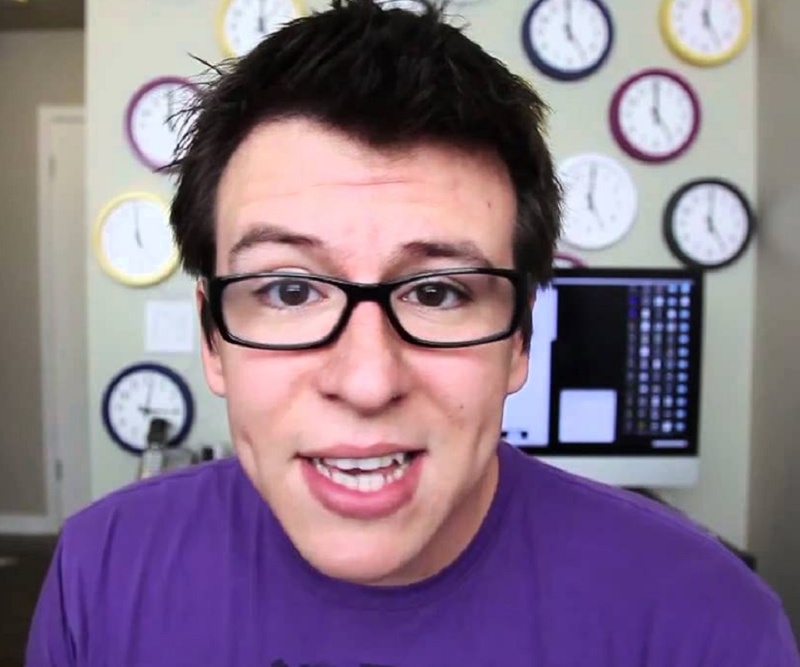 Philip DeFranco began his YouTube career while still a student at the East Carolina University. The year was 2006 when he opened his first YouTube channel, ‘sxephil.’ At that time there weren’t many people posting online content and it was relatively easier to gain notice with one’s videos. Within a short span of time DeFranco was able to gain a small but loyal following that mostly comprised teenaged girls. His channel became even more popular following the premiere of ‘The Philip DeFranco Show’ in 2007. The next year, he co-starred with Jessica Rose and Kevin Wu in ‘Hooking Up,’ a HBOLabs webseries. In January 2012, he created a news website and YouTube channel ‘SourceFed,’ which was originally produced by James Haffner. This new channel mainly focused on news, popular culture, and technology. The channel proved to be an extremely successful one and had accumulated over 1.7 million subscribers and 907 million video views before being cancelled in March 2017. Philip DeFranco is the recipient of several awards. He was named the "Sexiest Geek” by the ‘Wired Magazine’ in 2008. His channel ‘SourceFed’ won the Streamy Award for Audience Choice for Best Series of the Year in 2013. His popular series, ‘The Philip DeFranco Show,’ won the Streamy Awards for Best News and Culture Series and Audience Choice for Best Show of the Year in 2016. Philip DeFranco was born as Philip James Franchini, Jr. on December 1, 1985 in the Bronx, New York City, New York, U.S. He studied at the Asheville-Buncombe Technical Community College, University of South Florida. Later he moved to East Carolina University but dropped out of college without completing his studies. He dated Lindsay Jordan Doty for a long time before marrying her in 2015. Their wedding received vast media coverage. They have one son and are expecting another in late 2017. One sad fact about this jovial YouTuber is that he suffers from polycystic kidney disease which he inherited from his father and grandfather.